Subway diagrams typically distort space to better display the system. 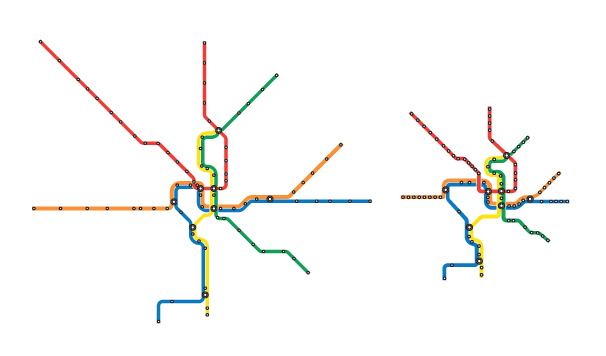 This map of the Washington Metro rail system adds accuracy of time, with stations spaced according to the scheduled travel time between them. Click any image above to view a larger image of the full map. Below, the time-scale map compared to the official map.